We are currently on the 6th day of Passover. There is a ritual observant Jews do before Passover starts. They must clean their homes of all leavened foods. The hebrew word for this is Chametz. Looks like this guys found ours in the backyard. This squirrel looks like the kids at the end of the Seder, is it time yet? Just imagine him holding a piece of Matzo….I found the Afikoman! All the blue words are hyperlinks to Wikipedia which will explain the meaning of the Hebrew words much better than I can. The pic with the squirrel holding the piece of bread – so cute!!! 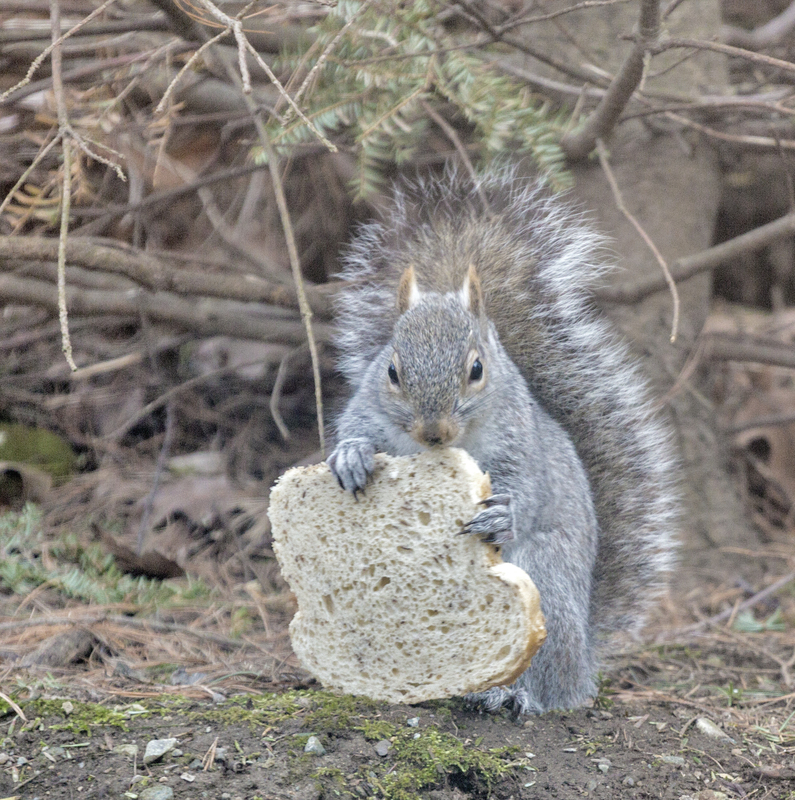 Lovely, he or she looks almost human while eating the bread…….have a beautiful Easter, Shalom ! thanks…love how you ended your note!